Displays & Promotional for Surgeries. A range of Pull Up internal Banners or printed Acrylic Panels. Full graphic images and text or message. Self standing pull up banners complete with stand and case. Acrylic displays, wall mountable or hanging. 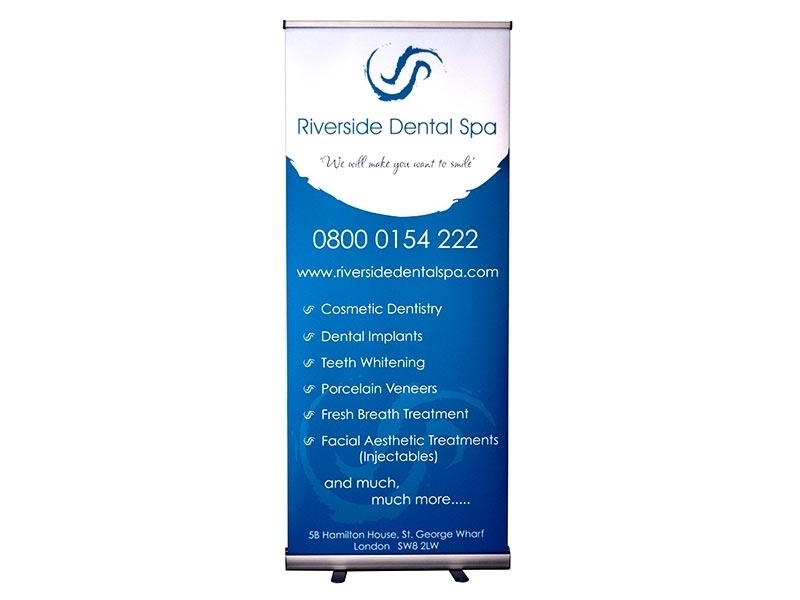 We offer a wide range of internal, self standing banners to promote your services to patients and visitors. These are designed to be used inside and are designed to make patients and visitors aware of the additional services that you offer. Our acrylic panels are printed on the latest generation of U.V. switchable ink printers that will print your image or text in perfect colour. designed to have a fixed image printed to the rear of the acrylic to give a prestigious 3D effect or to have a changeable poster holder so this can be changed or updated as you wish.